In July our monthly networking lunch heads to Bertie’s Restaurant & Bar home of Edinburgh’s Proper Fish & Chips. 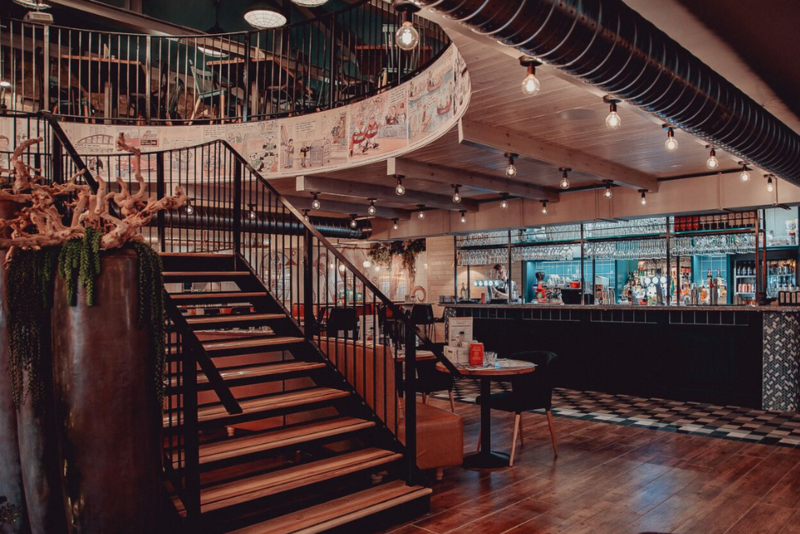 Bertie’s is a new edition to the Edinburgh Food and Drink scene situated on Victoria Street, and is open All Day Every day serving Our Speciality “Proper Fish & Chips as well as contemporary twists on the traditional chip shop experience. Bertie’s caters up to 300 guests and is the capital’s new place to ‘go to for proper fish and chips’. Their style is grown up yet fun. A casual dining experience in the city centre, who are proud to be able to include on our menu quality authentic and sustainably sourced ingredients. At this unique event, guests will enjoy a delicious two course lunch and drink along with the chance to move seats between courses - maximising opportunities to meet new faces and grow your network!